This year, in order to give all of our families the opportunity to learn a little bit more about our devoted staff, we will be featuring different team members in our Staff Spotlight series! Since the majority of our interactions with families take place over the phone or through email, families rarely have the opportunity to put a face to the name they know so well. 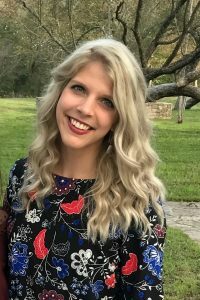 Our Staff Spotlight series is a great way for each of our families to understand a bit more about who we are, what we do, and why we hold adoption close to our hearts. 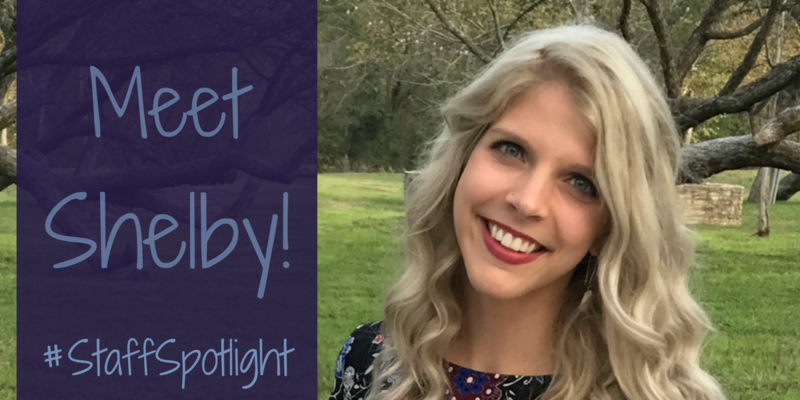 For our very first #StaffSpotlight, we’d like you to meet Shelby! I am an international adoption counselor for the CAN department, which essentially means I wear several different hats! I am a case manager for 6 different CAN programs and work with a revolving caseload of families in the referral department, as well as inquiry families who are just getting started with the adoption process. 2. How long have you been working at GWCA/CAN? I have been working in the CAN department for just about one and a half years! Although there are several amazing and rewarding aspects of my job, I have to say the absolute best part of my job is making the phone call to tell my families they have been matched with their kiddo! The genuine reactions to my exciting news never fails to get me all choked up with happy tears! Families typically spend the majority of their adoption journey with me in the referral department – waiting. Although this means I get to spend more time building a relationship with my families, the wait to be matched often times becomes very difficult for families. It’s hard for me to see my families struggle and to not be able to simply snap my fingers and have their child’s referral in my hand. I love adoption (especially international!) because it helps children all over the world find their forever families. – I could live off caffeine and mac ‘n cheese. – I have a very talkative, very furry orange kitty named Oliver. Shelby’s current featured adoption programs are Burundi and Latvia! Keep an eye out for the next blog in our Staff Spotlight series to learn a bit more about one of these featured programs. In the meantime, if your family is interested in learning more about adopting a child from Burundi or Latvia, visit our website or contact Shelby today!